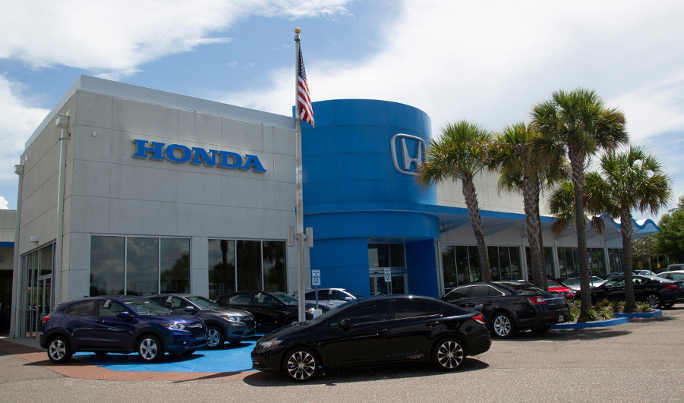 TAMPA, Fla. - Jan. 18, 2019 - PRLog -- American Honda Motor Co. Inc. has named Brandon Honda as its #1 volume Honda dealer in Tampa's district 7F, based on 2018 new vehicle sales. Brandon Honda has been a division of Morgan Auto Group for eight years and is managed by managing partner John Marazzi. "We have always focused Brandon Honda on serving each customer's needs by making the buying experience so exceptional that we build a loyal following that grows organically year after year," said John Marazzi. "This award is a tribute to our great team at Brandon Honda—it takes everyone and every department pulling together seven days a week to achieve this kind of extraordinary success." The hallmark of a Morgan Auto Group, www.morganautogroup.com dealership is its keen focus on impeccable customer service and engagement. Brandon Honda has the area's largest inventory of new Honda automobiles and is located at 9209 E. Adamo Drive in Tampa, FL 33619. It is open seven days a week from 9:00 a.m. to 9:00 p.m. Monday through Friday, 9:00 a.m. to 8 p.m. Saturdays and Sundays from 10:00 a.m.to 6:00 p.m. and features a gourmet café for customer convenience. For more information, call 813-664-1234 or visit www.BrandonHonda.com.